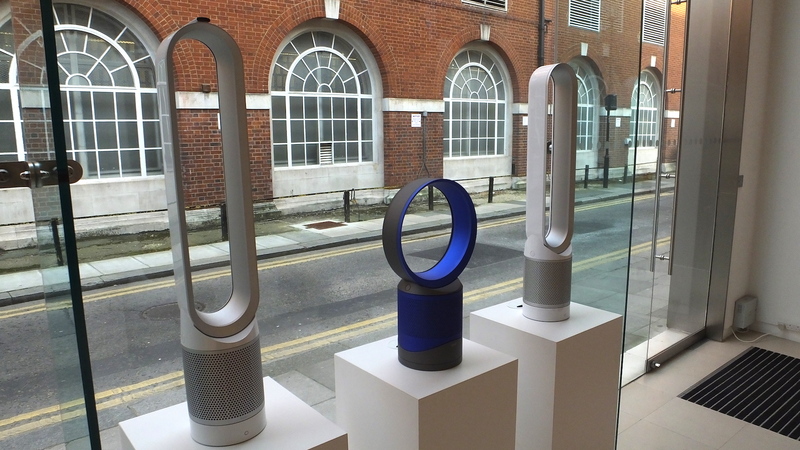 (P1) The company called Dyson has made an air cleaner for the home. It is called the Pure Cool Link. It catches up to 99.95 percent of dust, pollen, and smoke in the home. The cleaner needs one hour to clean the air in a room. It checks the air to keep it safe. This is good for people with allergies or asthma. The device also has an app. (P2) Pollution is also a danger in the home. The company said: “We think it is polluted outside of our homes, but the air inside can be far worse.” The dust, pollen, and smoke inside the home cannot get out. The air can be five times dirtier inside the house than outside. The air cleaners will cost between $500 and $650. Tell me 3 types of pollution? Do you have allergies? If so, what happens to you? Would you buy this air purifier? Why or why not? Are Dyson products sold in your country?